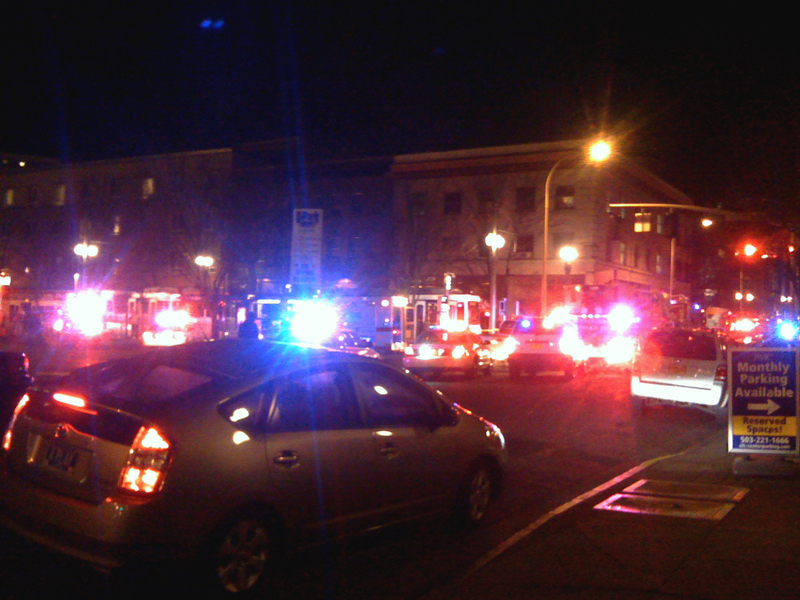 As you’re probably aware, last night a 76 year old woman fell between two train cars at 6th and Davis as the train was coming in to the platform. She was responsive at the scene and was transported to OHSU, but later died from her injuries. Although some preliminary reports indicated that she had been pushed, it seems that what actually happened is that her cane went over the edge of the platform, got caught between the two cars, and she fell with it. I wasn’t there last night so I didn’t see firsthand what happened, but it sounds like it was possible that she was standing/walking too close to the edge of the platform as the train came in. Of course no one deserves to die for making a mistake like that, but I couldn’t begin to tell you the number of people who are lucky they don’t end up in the news for the same reason she did. 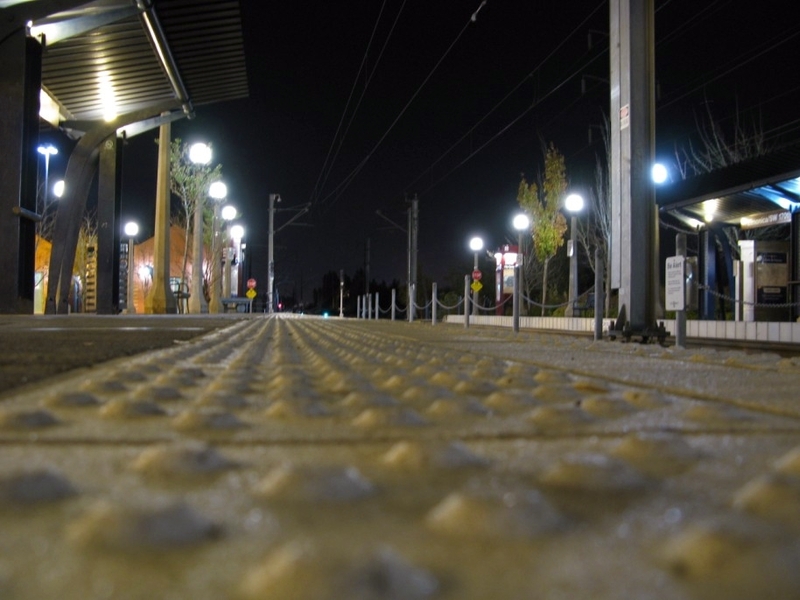 The tactile strip on the edge of the platforms is there for a reason – painted white so that you can see it, and with a bumpy surface so you can feel it when you walk on it. SO STAND WELL BEHIND IT. Give me one good reason why you need to be standing on it, especially when a train is coming in. You’ll be able to board once the train stops, and if for whatever reason that train is too full to take on more passengers, isn’t it better to wait for the one behind it than risk falling under it? Again, I don’t know what the situation was with this woman, and my condolences to her family (and the operator as well, I don’t know how he is doing). But this seemed like a good opportunity to post a safety reminder since the only reason why she made the news for this and the people in the above pictures didn’t is basically that they were luckier than her. Please be careful out there. A friend of mine sent me this video recently because she thought I’d like it – she was right. Normally I don’t post things here that aren’t TriMet or MAX related, but I’m making an exception in this case because I think this is fascinating. In April of 1906 (often incorrectly attributed to 1905), just days before the great earthquake, the Miles brothers shot video out of the front of a San Francisco cable car traveling down Market Street. The footage of this survived because they’d shipped the film to New York – everything else in their studio was destroyed in the earthquake. I think this is amazing, not just from a historical perspective (especially considering that days after this footage was shot, the city would be devastated by the earthquake) but in a way by how much things haven’t changed. 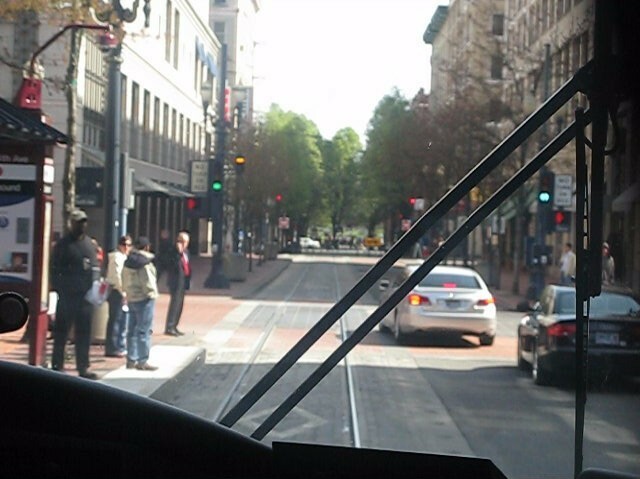 Lots of cars turning left in front of the streetcar; a cyclist cuts in front of the streetcar, stays there for a bit, then ducks back out; people walking *everywhere*… Forget about 1906 San Francisco, I could’ve written that sentence about what I saw on the Portland Mall just this past week! I guess it’s true, the more things change, the more they stay the same. It also makes me wonder if any of the videos I’ve recorded would ever be of any historical interest 100 years from now. 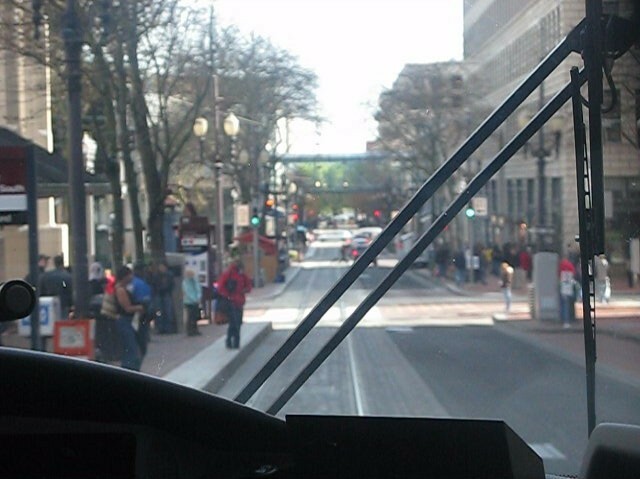 Or Al M‘s, since he has me easily beat as far as sheer volume of recorded transit-related footage goes. 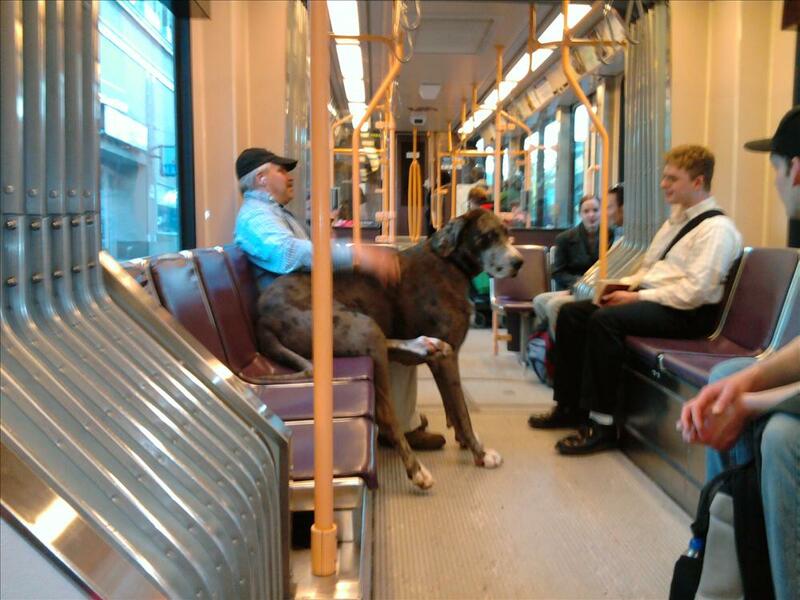 Not gonna lie – about a month ago when I heard that TriMet would be changing its service animal policy to state that only dogs could be classified as service animals, I wondered about service horses. 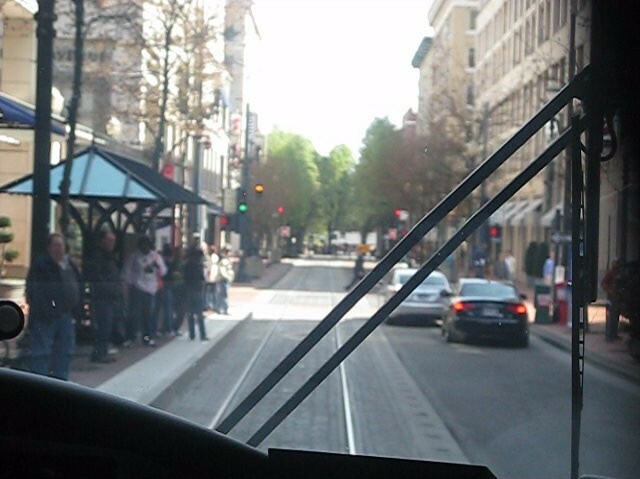 After all, they’re allowed in the Apple store, so why not a MAX train? A horse as a service animal is rare, but it’s not news – here’s an article from 2003 about a service horse on an airplane. 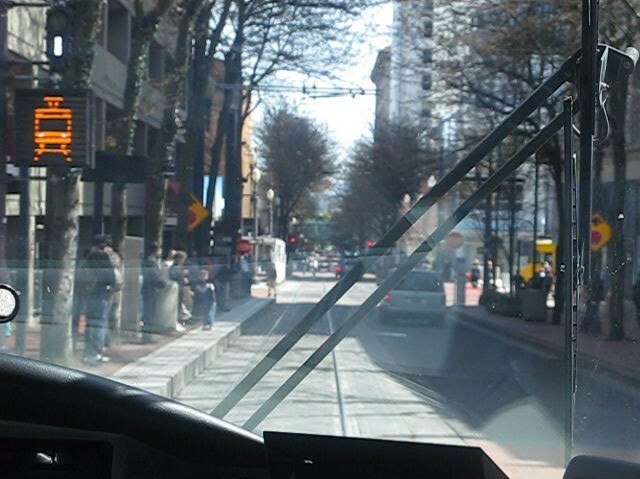 What’s also not news is that under what had been TriMet’s service animal policy, people already could bring miniature horses onboard TriMet buses and trains. All an operator could ask is “Is that a service animal?” (not even getting into the other question permitted by the ADA, which is “What service is the animal trained to provide?”) If the person with the animal says “yes”, there’s not really anything the operator can do unless the animal is out of control. This policy has led to problems, like when a man got on a bus and claimed his Rottweiler mix was a service dog (it wasn’t), and it killed a service dog that was already on the bus. And it also meant people were bringing on their “service ferrets” or “service chickens”, so I imagine if someone had a pet miniature horse and tried to bring it on a bus saying it was a service horse, they could’ve done it. Personally if I were operating a train and saw someone with a harnessed miniature horse waiting to board at a platform, I’d assume they had some sort of disability and just put out the bridgeplates for them – ditto for a person with a guide dog, a person with a white cane, a person with a wheelchair, etc. I actually think I’d more readily assume that a miniature horse is a service animal than some of the dogs I’ve seen people passing off as service dogs. I don’t know, I guess I don’t see why the idea of a service horse is such a big deal. Last month was the opening of the Civic Drive platform. 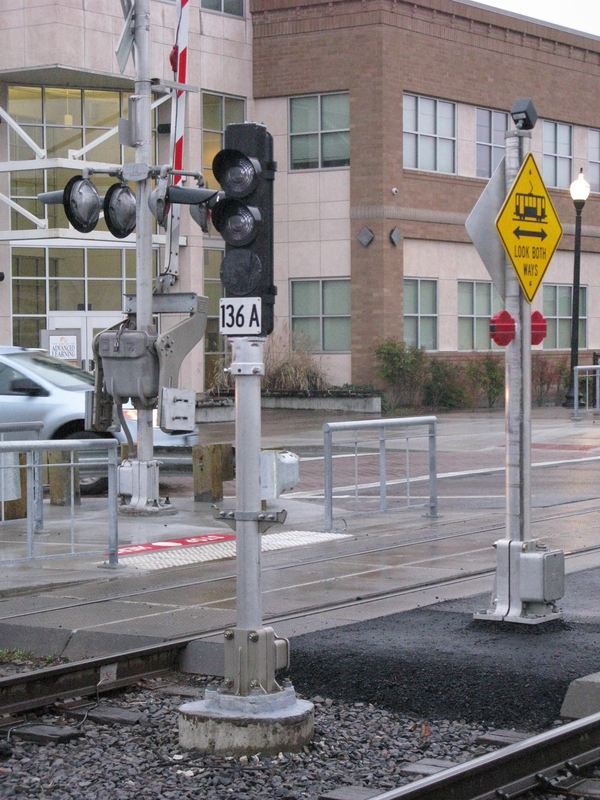 Located in Gresham between Gresham City Hall and Ruby Jct/E 197th, this is now the 85th platform in the system, though construction had originally begun about 15 years ago. 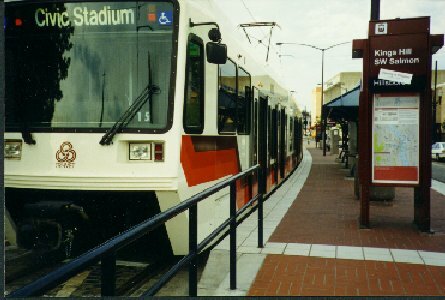 For years, Civic Drive was closed off and treated like a bypassed platform by operators with a speed limit of 20mph past the platform. 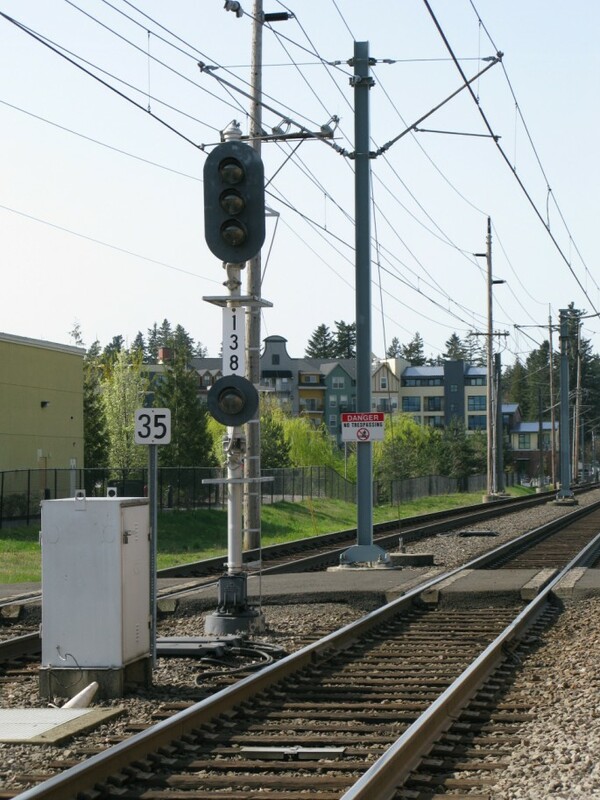 When Civic Drive was still a closed platform, this signal at Gresham City Hall facing west was used by trains to either continue on the westbound main (getting a yellow or green aspect) or to select for the Ruby yard (a yellow over green aspect). 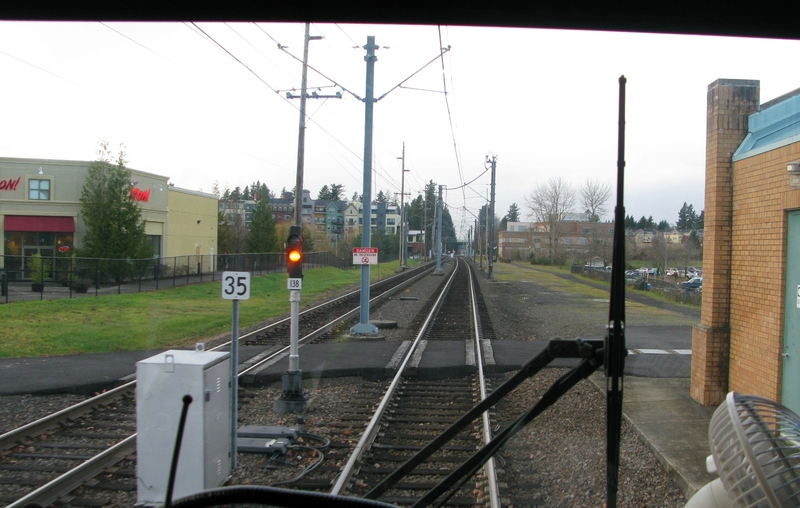 Signal 134, the intermediate signal in the cut westbound between Civic Drive and Ruby Junction, would display a corresponding yellow or red over yellow aspect depending on what route the train selected. But now there’s a new platform in between City Hall and Ruby, and you can’t be clear to proceed for 2 ABS blocks when there is a platform in the next block. As previously mentioned, the ABS signals prior to a platform will not display a green aspect. So now signal 138 will display just a single red or yellow aspect. 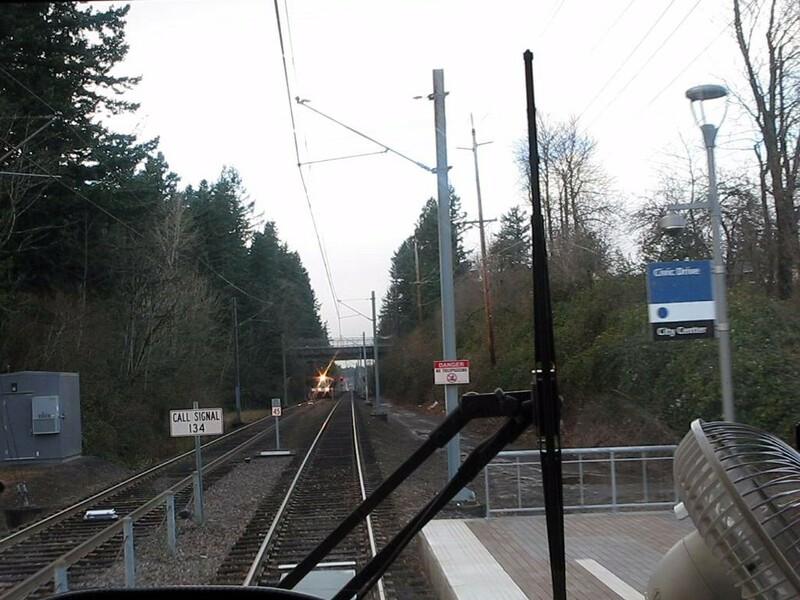 A few points of interest here – you can see the call loop for our train (between the arms of the windshield wiper), and a sign to call signal 134, which is located way out in the cut. It’s red in the above picture, which might be easier to see in the larger version. Also visible from here are the ATS magnets as this part of the alignment is speed tripped for eastbound trains. 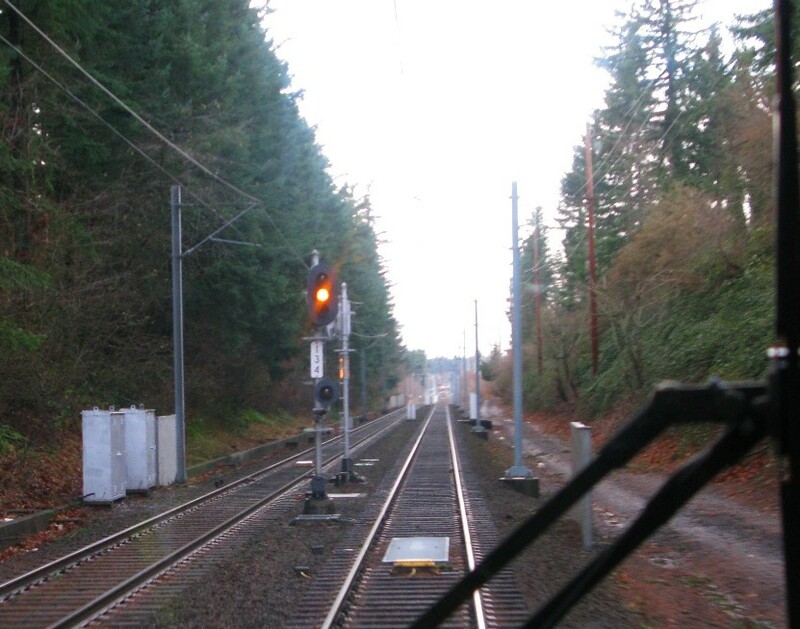 136A is a new signal that was added for eastbound trains at Civic Drive. 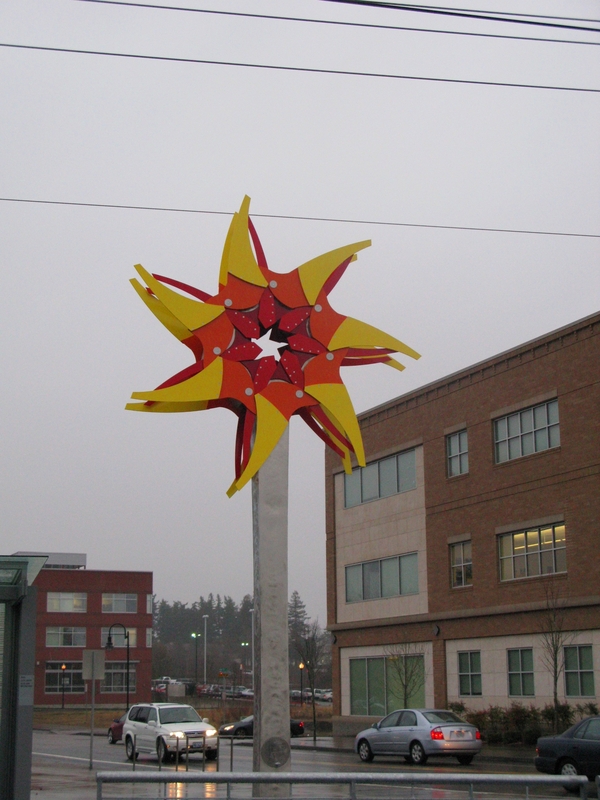 It can display two possible aspects since Gresham City Hall is the next ABS block. 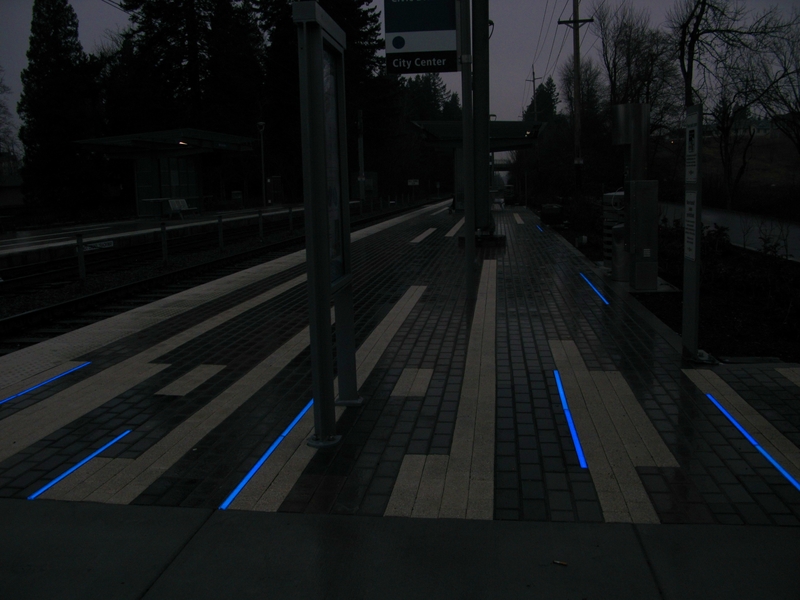 Both sides of Civic Drive feature blue lighting built in along the ends and edge of the platforms. And continuing further west, this is a closer view of signal 134, which is the same as it has been. 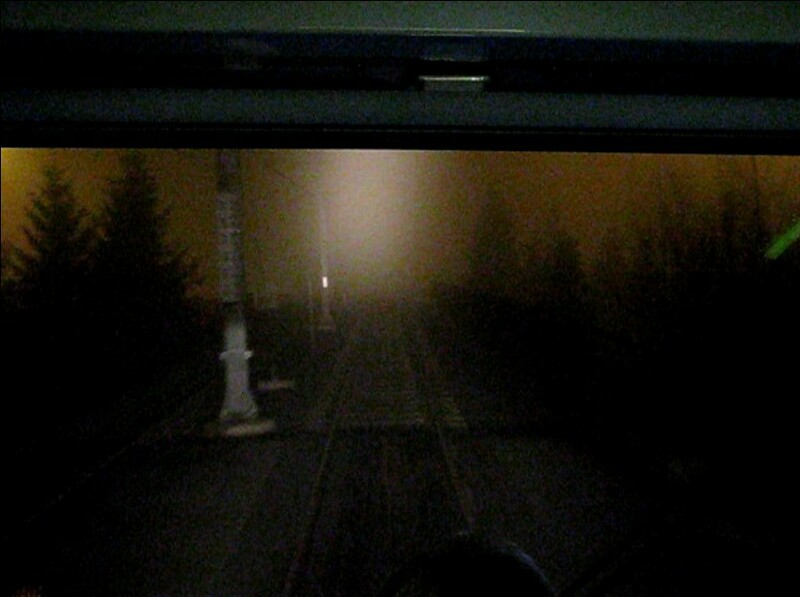 It’s yellow for us since this train is headed to Hillsboro, not diverging into the Ruby yard.